Right angle gear motors are an important part of many industrial and assembly processes. They are dependable machines which, when properly utilized, can increase productivity and efficiency in a range of procedures across industries. A right angle gear motor is attached to a gearbox that has a shaft which is perpendicular or at 90 degrees to the body of the motor. Having the output shaft at right angles to the position of the motor provides many practical uses. Manufacturing facilities that use conveyor belts may implement right angle gear motors on their machines. This may be due to the original design or because of space constraints. A right angle gear motor can deliver as much power and rotational torque as any type of gear motor. The efficiency and power of the motor depend upon the right combination of the motor itself and the gearbox attached to it. A valve actuator is a mechanism used to open and close a valve. You can use right angle gear motors to control these valve actuators. The safety of the plant processes depends on the proper functionality of these gear motors, especially if they are automatically actuated during emergencies. Many businesses use right angle gear motors for packaging equipment. The gearbox that you attach to the motor can be a variable or fixed speed. You can also attach switches and other control switches to manage the packaging operation. 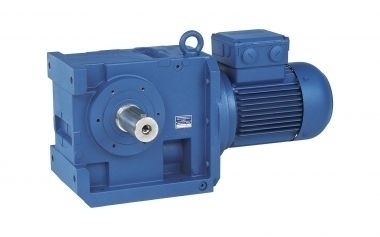 Right angle gear motors can also be used to supply lubrication in a machine. Its function is very crucial to the safety of the internal components of the engine. A poorly lubricated engine may cause the equipment to stop, to have its linkages and gears stuck, or to have parts broken. Bauer GMC can provide, repair, maintain and install a right angle gear motor to any specification, helping your business determine the best course of action to improve efficiency and safety. Contact us today to learn more.